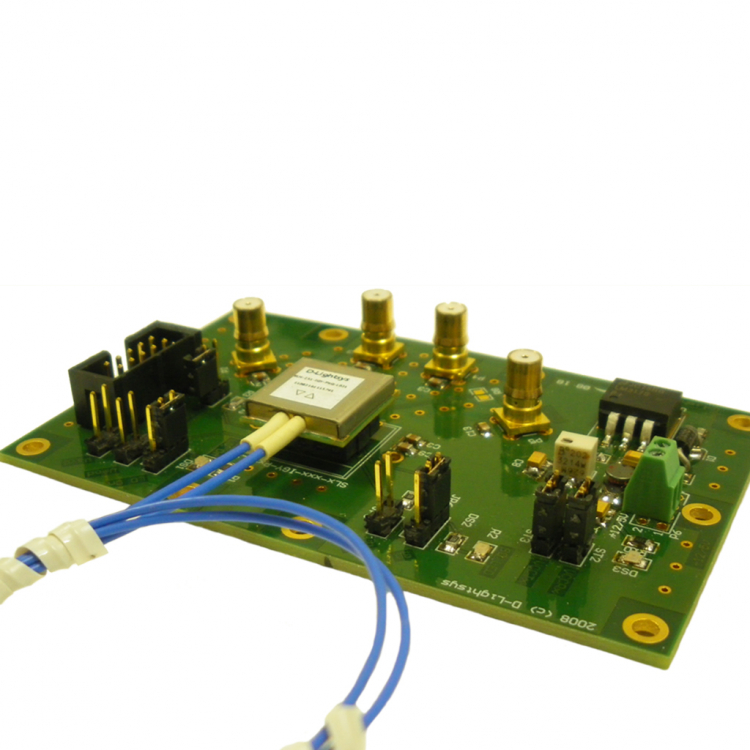 Radiall offers a full range of evaluation boards that enable full monitoring of S-Light, D-Light and F-Light product ranges. These boards allow you to test our D-LightsysⓇ devices and take control of all the available functions before you route your own board. You can customize these boards with optical cable assemblies, RF cable assemblies and PC-based software to fit your bench setup.